The network was created in partnership with Search for Common Ground an NGO operating in Burundi, Burundian Women Journalists Association (AFJO), Rwandan Women Media Association (ARFEM) and Congolese Women Media Union (UCOFEM), during a Summit launched on 19-20 October 2012 at Kigali in Rwanda to adopt the statutes and choose the Committee. “The main objective of this network is to raise and promote women’s rights in media and by media, so that their problems may be taken into consideration very carefully,” points out Agathonique Barakukuza,” AFJO Vice Chairperson. According to her, in terms of access to media as source of information, women are still lagging behind whereas they have to voice their feelings, problems as well as happiness and experience exchange. “If we are grouped together and united, it will be easy for us to handle issues that women face in general. In this way, we will work effectively with success stories and best practice to reach our objective. We also need to share experience in order to move and advance at the same level and rhythm,” declares Barakukuza. She adds that they want women issues to be on political agendas and women to be eligible to posts of high responsibility. Desiré Ndanziza, AFJO Chairman mentions that during the last session of this network, Women from Central Africa have exposed the situation that prevails in their country especially the different problems they face ev ry day. He also indicates that they have realized that problems are almost similar everywhere in Africa. 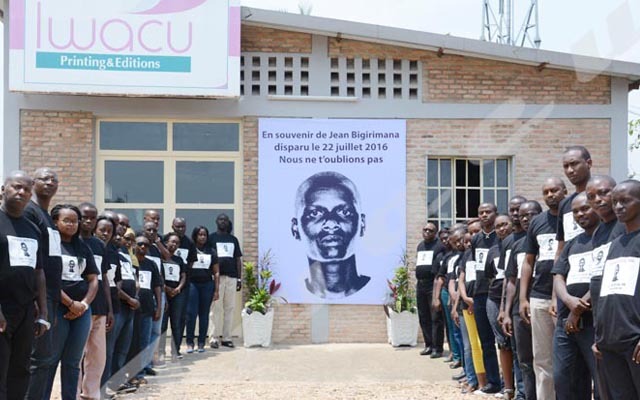 “In Burundi, however, access to media is open to women but those latter don’t take the advantage of that opportunity; they fear to expose and express their problems,” regrets Ndanziza. He adds that there is also an indifferent attitude of Heads of media over the gender issue. Thus, media authorities should change their viewpoint to plead for the women’s cause in the society. “Access of women voices to media must be taken and valued as an opportunity that is offered to them. So, they have to use media to express and voice their feelings fearlessly,” points out Barakukuza. According to her, problems that women endure will not be known and understood if women don’t stand up to express them; women have to know that media are the best channel and strongest platform of expression. “We as women are called upon to go over some stereotypes and not to close ourselves within our cultural or religious believes that sometimes prevent us from making known our feelings appropriately,” advices Barakukuza. Ndanziza concludes that there should be different kinds of training intended to women in order to show them that they are as skillful, competent, clever and intelligent as men; they should know that they are responsible for their own progress and development in the society.